Wouldn't it be great if you could just sit there on your duff while customers came to you—with no need for cold-calling, prospecting, hard-selling, or flat-out begging for business? Too bad it doesn't work that way in the real world. Or does it? In Gravitational Marketing, you'll discover just how easy it is to create a low-cost, high-powered marketing system that attracts a steadily growing stream of customers into your business day after day, month upon month, for years to come. Marketing mavens Jimmy Vee and Travis Miller team up with celebrated rainmaker Joel Bauer to show you how to attract customers naturally. Following ideas and methods that have been thoroughly tested and proven by the savviest marketers in a broad spectrum of industries, you'll learn how to control, navigate, and respond to changes in that constantly evolving consumer landscape. First, you'll have to clear your head of the misguided advice you've been getting from day one, including "you have to pay your dues" and "it's all about getting your name out there." Next, you'll learn how to make your business ESP—Enjoyable, Simple, and Prosperous—by creating an intelligent marketing system that positions you as an expert and causes qualified and interested prospects to come to you, begging to give you their business! Central to your phenomenal new success is your firm determination to be master of your own marketing. Once you've taken charge, you'll find out how to identify and target the customers most in need of your product or service, create a compelling message that will draw those customers into your gravitational field, and choose the most efficient and effective media through which to contact them. You'll learn how to captivate new prospects with memorable presentations that will leave them begging for more; invigorate them with ingenious solutions to their problems; and motivate them to take the action you desire, while feeling that they are in complete control of the transaction. Stop pounding your head against the wall trying to win over prospects who don't need what you're selling, won't return your calls, and couldn't care less about your grand ambitions. 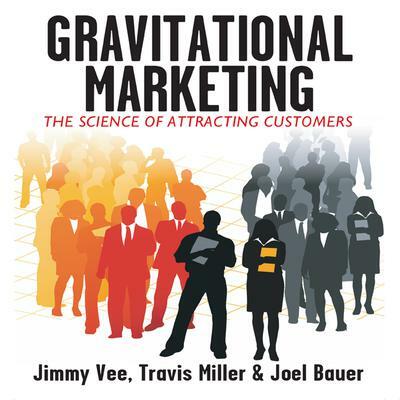 Read Gravitational Marketing and find out how easy and simple it is to naturally attract a steady steam of qualified buyers who seek you out, pay more, stay longer, and refer everyone they know.